The harsh winter sweeping across the Hoosier state is slowly but surely coming to a close. The sun is peeking out of the clouds, and summer is just around the corner. Few warm weather pastimes rival riding a bike. The sense of freedom, the feeling of the summer breeze blowing through your hair, the excitement of coasting down the road. It’s a pleasant, powerful experience. 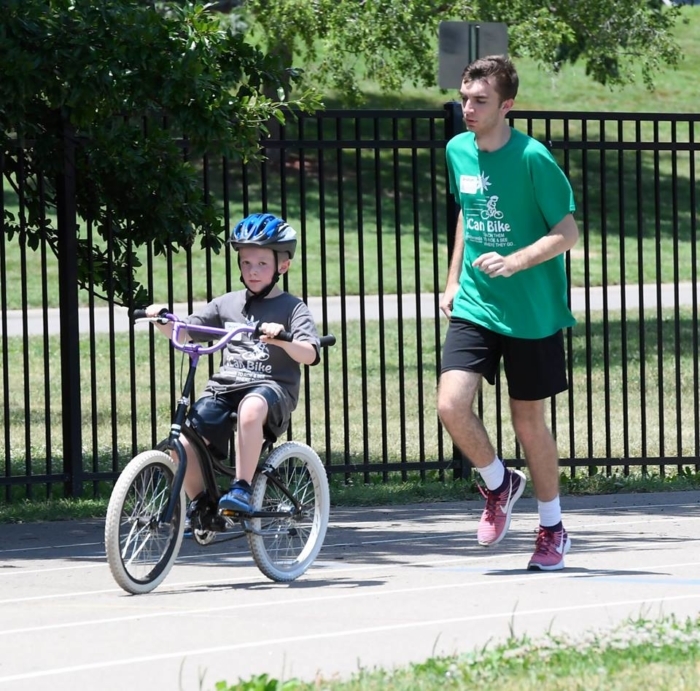 This June, Easterseals Crossroads is partnering with iCan Shine and Indy Parks to host a bike camp program for children and adults with disabilities and special needs. The program will take place at Perry Park Ice Skating Rink from June 17-21. Participants are enrolled in the same 75-minute session for each of the five days. Sessions start at 8:30 a.m. with the last session starting at 3:35 p.m. 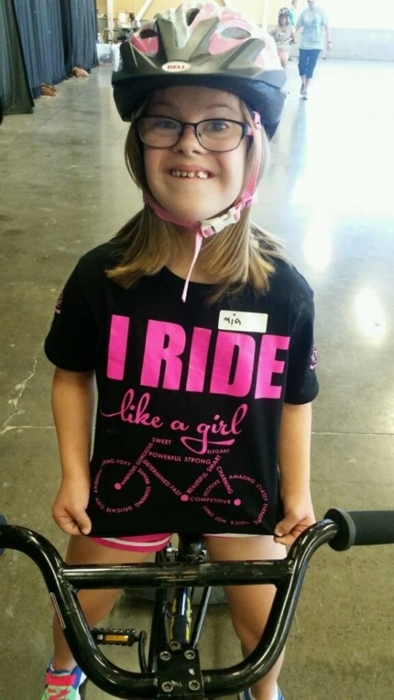 Through the iCan Bike program, the organization conducts more than 100 five-day camps and after-school lessons throughout the U.S. and Canada, teaching approximately 3,000 people with disabilities how to ride a bike each year. Since iCan Shine’s inception, this program has successfully taught roughly 20,000 people with disabilities to ride a conventional two-wheel bicycle. The program uses adapted bikes and techniques developed by Dr. Richard Klein, a retired mechanical engineering professor who has spent more than 30 years studying the mechanics of bikes. Over the course of the week, trained staff members adjust the specialty bikes’ stability to challenge riders and gently push them toward independently riding conventional bikes. Camp riders include children ages eight and up as well as teens and adults with disabilities who can side-step and walk without assistive devices. Each 75-minute training session serves a maximum of eight riders, providing an intimate, hands-on learning experience. Working alongside iCan Shine staff members are volunteers who run beside riders and act as their cheerleaders. Kelly has served as the camp director on behalf of Easterseals Crossroads for the past six years. 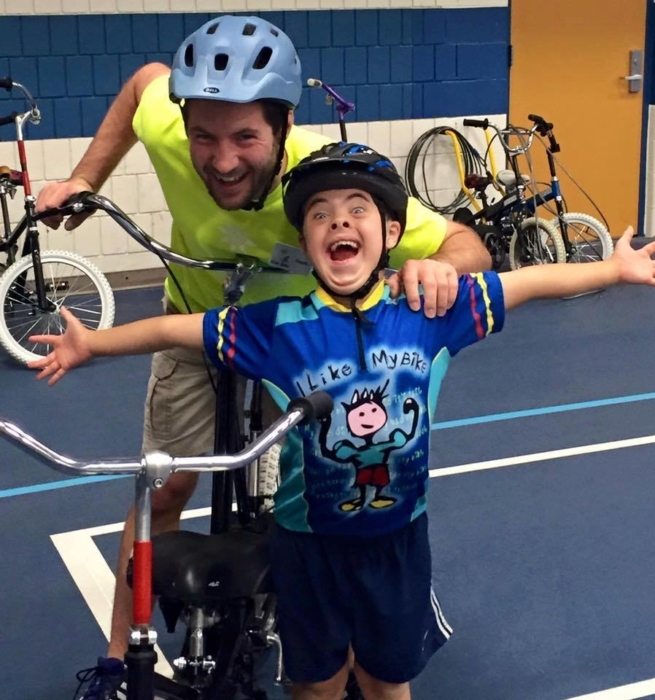 iCan Shine provides bike equipment and trained staff members while Easterseals, as a camp host, secures a space for the camp and recruits riders and volunteers. Approximately 85 percent of camp riders are able to independently ride a two-wheeled bike by the end of the week-long program. 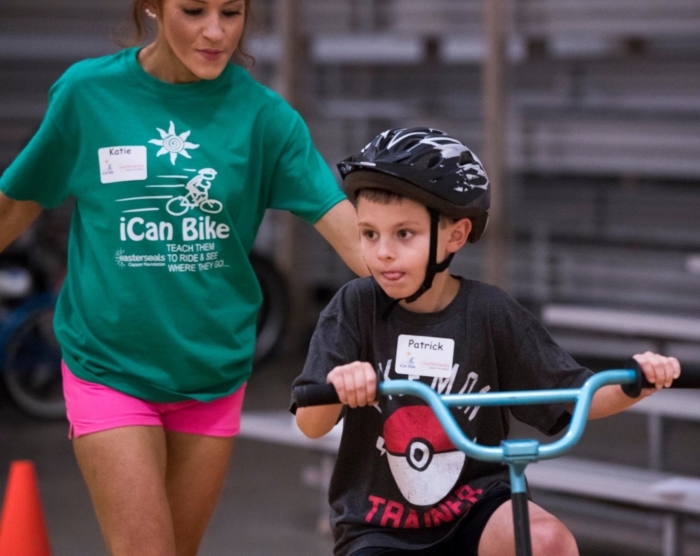 Click here to register for this June’s iCan Bike camp. And if you’re interested in volunteering, complete and submit this form by May 24. Volunteers must be at least 15 years of age.